One for the local businesses. (It seems air quality improvements are due across the board, we posted on the low-emission renewal of the bus fleet here). For more information on this council programme visit the consultant’s site Cross River Partnership, or contact the Programme Manager, Tanja Dalle-Muenchmeyer. 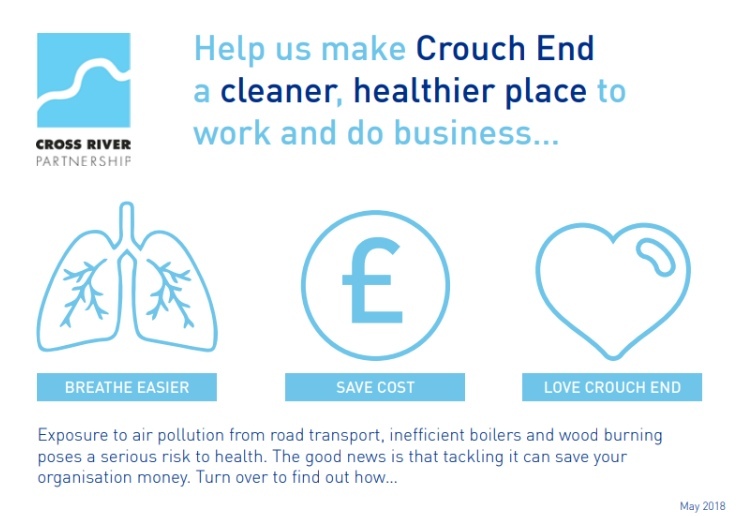 We want to make Crouch End a cleaner, healthier place to work and do business by improving local air quality, supporting active travel and helping to reduce business energy and transport costs. By raising awareness of air pollution and offering advice and services to help businesses switch to lower emission energy and travel options, we will work towards improving local air quality whilst also saving money. 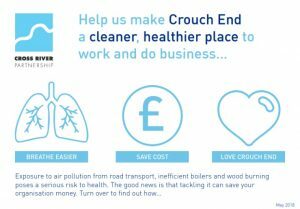 To build up a picture of how business operations in Crouch End impacts air pollution, we would like you to take a few minutes to complete this survey. We are interested in deliveries and collections, how staff get to work, energy use, and your interest in and best locations for electric vehicle charge points, cargo bicycles, bicycle stands and pedestrian improvements. Your answers to this survey will help us to shape our plans for Crouch End, developing interventions that reduce the negative impacts of business related traffic, while supporting more efficient operations that could save businesses both time and money. At the end of the survey there will be the opportunity for businesses to register for support on deliveries, servicing and active travel, through workshops or one to one support, all of which is free of charge. The survey takes approximately 15 minutes to complete. 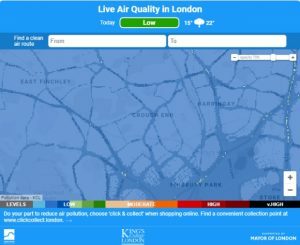 In the meantime, here’s a neat interactive map from the Cross River Partnership website – plot your cycling or walking journey and find the most breathable alternative… updated hourly. 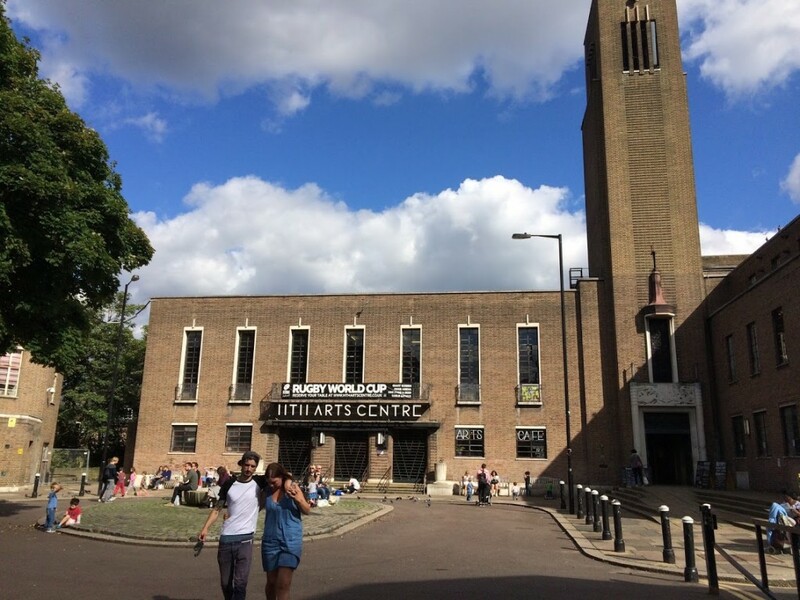 Haringey and partners the Cross River Partnership are running two FREE small and interactive workshops with local businesses/organisations to identify how Haringey might be able to support them in improving local air quality whilst reducing costs at the same time. 6 September, 10am – 12pm. 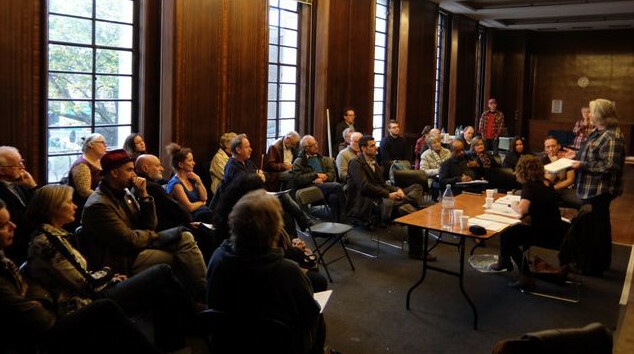 Second free workshop, 06 September 2018 at 10am at Velasquez and Van Wezel, 78 Park Road, London N8 8JQ.